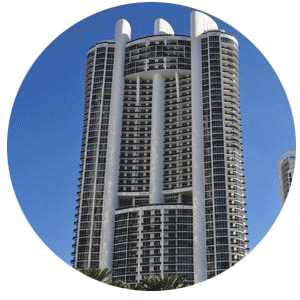 Luxury Trump condos in Sunny Isles Beach Miami feature some of the cities most luxurious buildings. Built and Developed by Dezer Development Group, residences deliver a luxury beachfront resort lifestyle and are notorious throughout the world as a destination of choice with an oceanfront lifestyle. Make your choice from the Trump Towers, Royale, Palace or International, each with a unique architectural design and caters to various buyer needs. Yet all offer the luxury and amenities one would expect from a world-class resort. 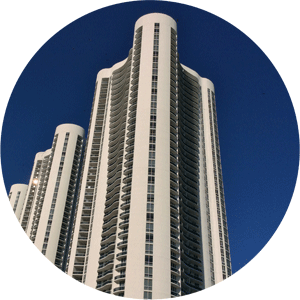 Please Contact Us or give us a CALL 786-505-4786 if you have a question on the available condo units in the Trumps. Trump Towers are located at the southern tip of the Island. Three buildings are situated on the most pristine secluded 259 linear feet of beachfront property. community offers full service and luxury amenities expected from a beachfront resort. Three high rise towers with 542 units in total each building rising 42 stories high. Best location on the Island at 15811 Collins Ave, 15901 Collins Ave, and 16001 Collins Ave 33160. 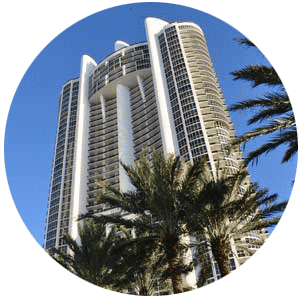 Trump Palace, Royale, and International are located in the middle of Sunny Isles Beach. Centrally located to the cities restaurants, supermarkets and all amenities the residences offer everything one would need within a short walking distance. 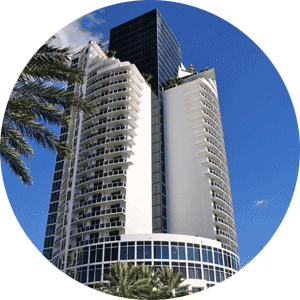 Clustered together at the 18001, 18101, and 18201 Collins Ave buildings offer expansive direct ocean and city views. BEAUTIFUL DELUXE STUDIO FURNISHED, WITH AMAZING BALCONY. SUPER COMFORT, TOTALLY EQUIPPED. GREAT AMENITIES IN THIS FABULOUS TRUMP BUILDING.